I had it. The Holy Grail moment that every foodie dreams of. I found the perfect meal, the one I have searched for far and wide, in every country I visited. 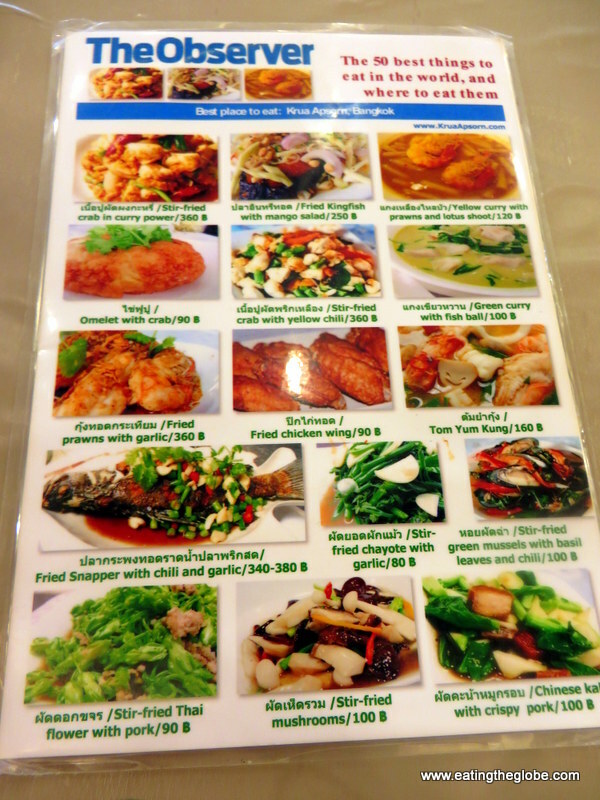 I found the best meal I ever had at Krua Apsorn in Bangkok, Thailand. I had heard rave reviews about the place before going. Aunty Daeng who started the place, wasn’t a cook, but had a job at the irrigation department. Her cooking for her bosses was so good that she was asked to cook a meal for the Royal Family. They enjoyed her food so much that she was elected to cook full-time for the Princess Mother! Yes, there is a wide selection of food on the menu, but I had come for one reason, and that was crab. Crab is probably my favorite food. 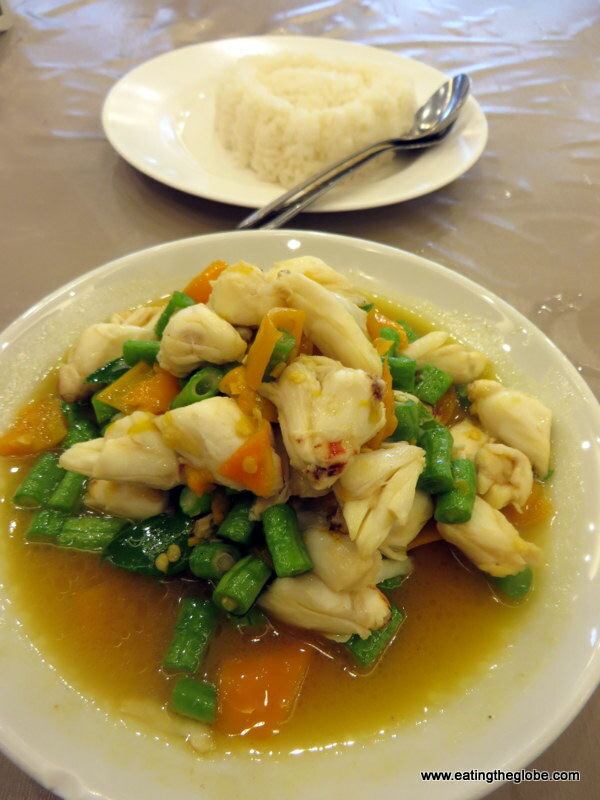 I like it better than lobster, and I heard that Krua Apsorn, not only did crab, but they did it well. 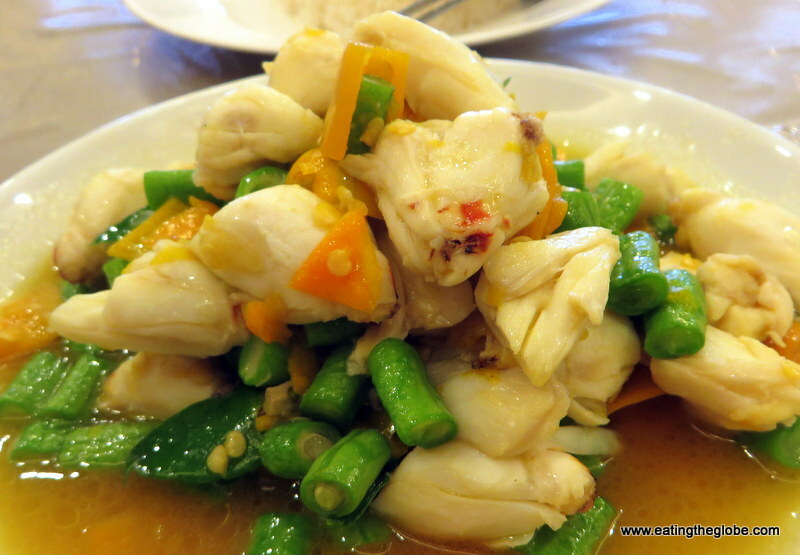 I began with the stir-fried crab with yellow chili, and that was the dish that made this meal the best meal of my life. The sauce that the crab was served in managed to be the most flavorful and yet the most delicate sauce that I’ve ever tasted. It had the perfect level of spiciness. 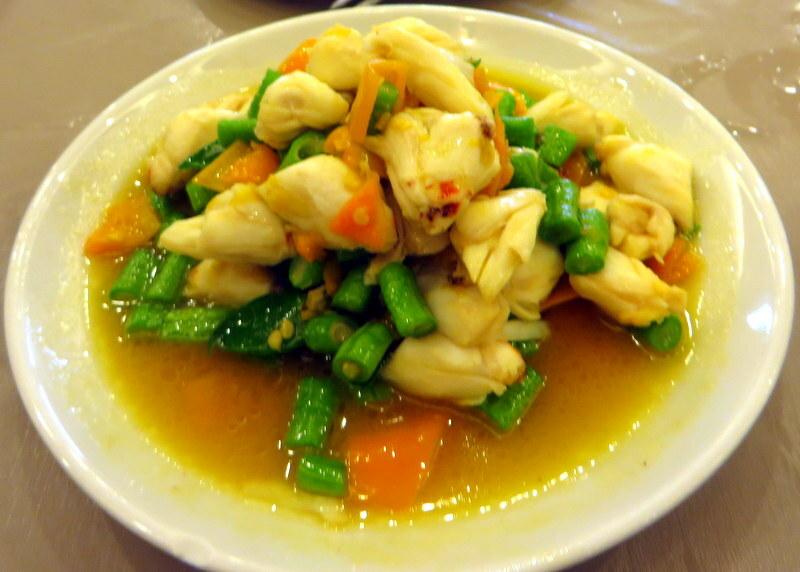 Enough to make my lips tingle, but not too much that it overpowered the sweetness of the crab. The kaffir lime leaves gave a bright fragrance to the sauce that balanced the flavors perfectly. This was a perfect dish, and I didn’t want to stop eating it. In fact, I didn’t want to stop eating it so much, that I ate more slowly than I ever have in my life. I actually closed my eyes while I slowly chewed and let the flavors settle into my mouth and my whole being gave a smile of delight. 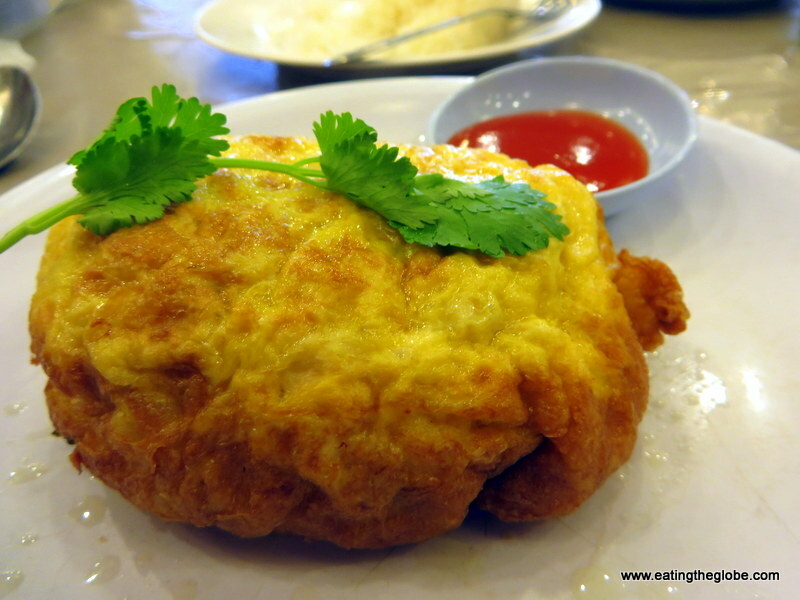 I followed the crab curry with the crab omelette. It, too, was cooked perfectly and delicately. It wasn’t as complex or as flavorful as the curry, but it was a great comfort food dish. I finished this perfect meal with the coconut “ice scream” coconut sorbet. 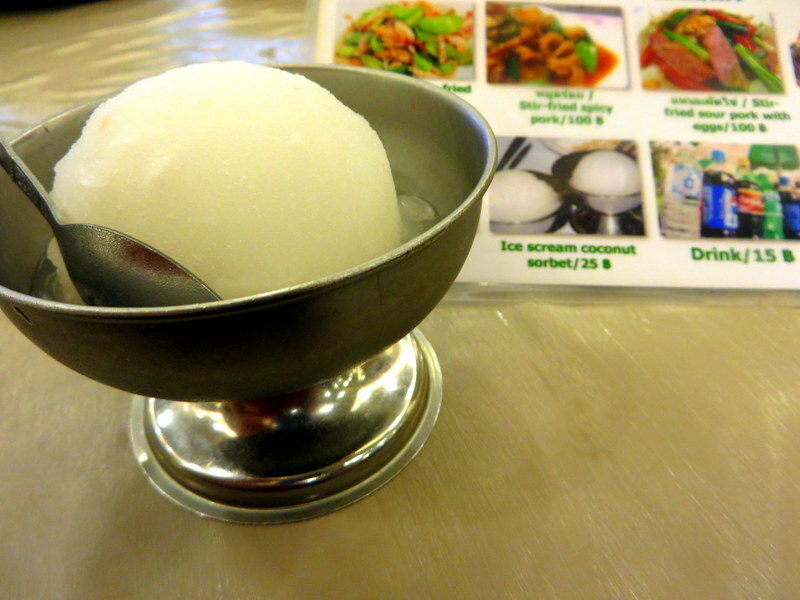 It was cool and refreshing, like eating frosty coconut water with pieces of young coconut flecked throughout it. This meal left all of my taste buds tantalized, and had me chanting, “Aroy Mak!”, the rest of the afternoon. Krua Apsorn has several locations, but I suggest you go to the original location on Samsen Road which is close to the Dusit Palace and Khao San Road. 6 Responses to "The Best Meal Of My Life At Krua Apsorn In Bangkok"
Krua Apsorn… I’ll need to remember that for our next trip to Bangkok. That coconut sorbet looks delicious, and just what I need right now in this Spanish heat. Love that she’s called ‘Aunty’ Daeng too, so cute! I’m not a huge fan of coconut, but both of the crab dishes look delicious!